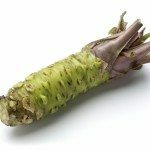 Using gardens to teach science is a new approach which veers away from the dry atmosphere of the classroom and jumps outside in the fresh air. Not only will students become part of the learning process, but they will gain appreciation for the skills they learn and enjoy the healthy foods they grow. Teaching science in the garden affords teachers a unique opportunity to show kids biodiversity and natural life rhythms. For many students, school can be a boring but necessary exercise where paying attention and retaining information becomes a tedious endeavor. 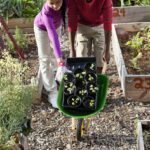 When an active teacher decides to teach science through gardening and hands on experience, he/she will find more engaged students with a high voluntary participation rate. Children can learn chemistry through composting, biology through interaction with the organisms they encounter, the quantitative and qualitative processes through planting and managing seeds, ecology as they become part of the environment, life sciences as they watch a seed grow, and meteorology and weather studies through their assessment of the weather and its effects on the garden. All these attributes are joined by two others in gardening and that is the joy of creation and hard work. It’s a win-win combination for teachers and students. The hands-on approach is an engaging method of informing and teaching science in the garden provides an excellent example of such a method. There are numerous scientific gardening activities. The most obvious and fun is planting food and watching it grow. You can also teach lessons through activities such as composting and vermicomposting. Older students can perform soil pH tests, investigate the effects of different nutrients on plants and learn preservation methods for their crops, such as canning or preserving. Little ones love to watch things sprout, engage in bug battles and just generally get dirty while they get close to nature. All ages will learn important lessons on nutrition and health as the projects prosper. 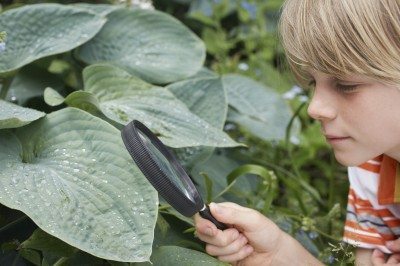 You don’t need to have an outdoor area to teach science in the garden. Potted plants, flats of seeds and indoor vermicomposters provide just as much learning yardage as the great outdoors. Keep projects simple and fast for little learners and have a lesson plan before each visit to the “garden” with questions and answers ready to show kids what they are supposed to get out of the activity. Be informed so you and the children can get the maximum benefit out of the activity. Have a gardener help you if you have a “black thumb” and tend to make plants die. Reaping the benefits from outdoor investigation and garden learning will keep things fun and exciting for both the teacher and the students.